This is the second week of a 14-year project to read and blog about every session of General Conference. Today we’re covering the Saturday Afternoon session of the April 1971 General Conference. In the study of religion, orthopraxy is correct conduct, both ethical and liturgical, as opposed to faith or grace etc. This contrasts with orthodoxy, which emphasizes correct belief, and ritualism, the use of rituals. I question whether this either/or divide is actually helpful or accurate, however. Recent talks, like Elder Uchtdorf’s “The Gift of Grace” from the April 2015 General Conference emphasize the important role that grace (associated with orthodoxy rather than orthopraxy) plays in our faith. Moreover, all but the last of Bokovoy’s collected quotes actually indicate that the problem Joseph Smith had with the creeds of his day was not that they were creeds but rather that they were incorrect creeds. The Mormon commitment to continuing revelation rules out static creeds, but not as emphatically or antagonistically as some have believed. It casts creeds as necessarily incomplete but not necessarily abhorrent. Nevertheless, the stereotype of an excessively orthoprax Mormonism does hold some appeal because it lends itself to a kind of criticism that is very on point with respect to the controversies of the our day. If the Mormon faith places so much emphasis on obedience and correct behavior that it obscures Christ and His mercy, then is it any wonder the Church tends towards authoritarianism and callousness? Even bigotry? And so the stereotype gets an additional boost because it is useful to certain critics of the Church. But is it really accurate? Or is there a way to reconcile the distinctive lack of formal doctrine and Mormonism’s heavy emphasis on behavior with a robust reverence for the mercy and grace of Christ? Can we bridge the gap between orthopraxy and orhodoxy? These kind of sentiments sound, at first glance, like the kind of platitudes critics of the Church for being obsessed with obedience and works might levy. A glance at Elder Sill’s biography doesn’t help. He was an extremely successful businessman and several of the more than 30 books he published between 1958 and 1986 seem almost proto-Coveyesque. He wrote three volumes on leadership, for example. Elder Sill’s background, like his talk, seem at first to conform to exactly the worst stereotypes of orthopraxy: overemphasis on lists and worldly accomplishments. But I have to admit that even at this point I was already impressed by his unique perspective. His notion that the Church exists to transform principles into experience is fascinating,5 and I was particularly struck by his emphasis on the dangers of foolishness instead of sin. “The scriptures themselves make almost as many references to fools as to sinners,” he says in a long passage that—at first glance—seems to be primarily about the importance of maintaining high self-esteem. Then he quotes from a poem7 that emphasizes the importance not of achievement, but of struggle. It’s possible to see these references as off-hand or even pro forma, as though Elder Sill is bringing up God merely because he’s going through the motions. But there’s another explanation for the way God returns to his words in such an indirect fashion: it may be that Elder Sill simply took for granted that we should have had God in mind the whole time. After all, there are two kinds of people who don’t know what the idea of “wetness” means: those who have never experienced water, and those who have never experienced anything else. Through my occupation I have had some part in helping to carry forward the work of the world. But I have also had a part in helping to carry forward the work of the Lord, and I may have as much of a part as I desire in that great enterprise in which God himself spends his entire time. There is no mistaking, at this point, Elder Sill’s recognition that his achievements in business are ephemeral and—in and of themselves—worthless. These are the words of a man who understands where real value lies, and it is not in mortal accomplishment. Every Sunday my kids spend a lot of time drawing. Usually, when you think about the creation of art, you think about it is a goal-oriented behavior. You draw, or paint, or sculpt in order to create a drawing, or a painting, or a sculpture, and the object you create is the whole point of the work that goes into creating it. And yet, my kids don’t actually care very much about the art they create. My Sunday bag is jam-packed with their creations, but they have no interest in any of last week’s creations. They only care about whether or not my bag contains one thing: materials to make more art. For my kids, it’s the actual work—and not the product of the work—that matters. That is the connection between orthopraxy and orthodoxy, between works and faith. Hugh Nibley summarized it by saying, “Work we must, but the lunch is free.” The idea is that our striving towards accomplishment of meaningful work is important because it allows us to strive. The accomplishments–won or missed–don’t really matter. The trick is that we have to strive earnestly. We have to do the best drawings we can, to return to the example of my kids and their artwork, because even though the art might not matter the fact of sincerely doing our best does matter. And that is why all of Elder Sill’s discussion about the best way to make ourselves useful tools (by, for example, avoiding negativity) are not superficial or vain or idolatrous. Because he well understood that the great experiences towards which we strive do not come from our efforts. Birth, baptism, rebirth through repentance, temple marriage: none of these are experiences we can earn or create for ourselves. In every case, we depend on the kindness of others and especially on the power of Christ. This is an inspirational talk for me, because it shows the possibility of finding the profound within the mundane. Of finding Christ in our everyday life. And that is truly a worthy pursuit. FYI your link to the Great Experiences talk is a repeat to the Uchtdorf talk. Thank you for your insight. I really appreciated it. Joseph Smith in The Personal Writings of Joseph Smith, pp. 420. Joseph Smith, Discourse to Saints, October 1843; DHC 6:57. Joseph Smith, January 1843, History of the Church, 5:215; from “History of the Church” (manuscript), book D-1, p. 1433, Church Archives. I haven’t stopped mulling over it all week. Also, April 1971 is now the most recent date for the use of a 4-letter word in General Conference that I know of. I’ll keep track of that as I keep reading. 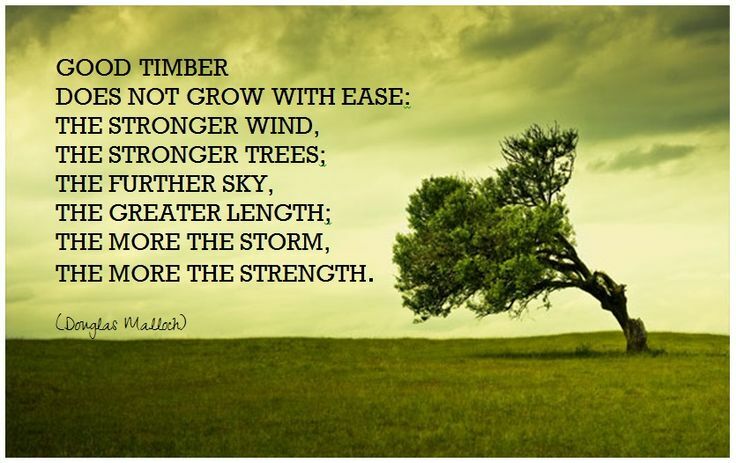 The poem is “Good Timber” by Douglas Malloch, although I had to look that up.